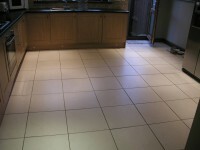 We are experienced in laying floors in a variety of materials. Unlike floor tiling with factory produced ceramic tiles which, whilst needing skill and knowledge, is relatively straightforward, flooring using random slate or York stone requires additional experience to produce the right result. 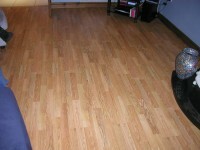 We also install laminate floors. The natural materials, random slate and York stone, vary in thickness and sizes are approximate which means that a keen eye for detail is required to get the floor smooth, level and looking good. We guarantee complete satisfaction. 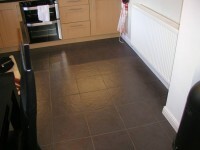 Few floors boast the depth and lustre of a properly laid Welsh slate floor, cleaned and sealed. Different quarries produce different types of slate and with our in-depth knowledge and experience we can source the perfect type of slate to give the finish you require. Known for its hard wearing and durable qualities York stone has been used in a wide array of building, construction and landscaping applications around the world for many years. York stone is popular in both new construction and restoration. The colour of Yorkstone depends on the minerals within its make up and differs throughout the quarries from which it is mined. We can lay the perfect floor for you by ensuring the base and foundation is correct so your floor will last a lifetime. We undertake flooring works, floor laying in Gwynedd, Anglesey and Llyn Peninsula including Criccieth, Pwllheli, Abersoch, Aberdaron, Nefyn etc.